San Jose, Santa Clara, Sunnyvale, Milpitas, Campbell, Los Gatos, Morgan Hill, Gilroy, Los Banos, Fremont, Hayward etc. At Dolphin Dental, we offer the very best dental possible treatment in an incredibly child-friendly setting. Come, see the difference! If you are looking for a high qualified and well-experienced children's dentist in San Jose, you are at the right place! Welcome to the Dolphin Dental, the incredibly beautiful children only dental office in San Jose, serving San Jose and surrounding communities. Led by Dr. Siva Cherukuri, DDS, a specially trained pediatric dentist, who dedicated her most of the life in treating children's dental disorders; the team of doctors, nurses and staff are ready to help your children in having perfect oral health. With an average experience of over 25 years, the doctors at Dolphin Dental are particularly great in treating dental problems in infants, toddlers and children of all ages. We solve all your child's dental problems and worries once and for all! Dolphin Dental is a kids-only dental office, which is equipped with latest technology and medical equipment to treat various dental health issues in infants and children. Be it a preventive care visit or an advanced disease treatment, our team of doctors and staff will assist every child with personalized care and attention. 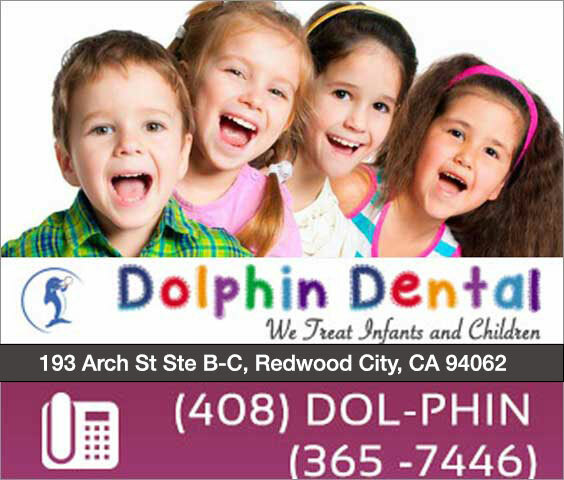 Come visit the best children's dental center in san jose 95121! Call (408) - DOLPHIN for a consultation, or have any questions.